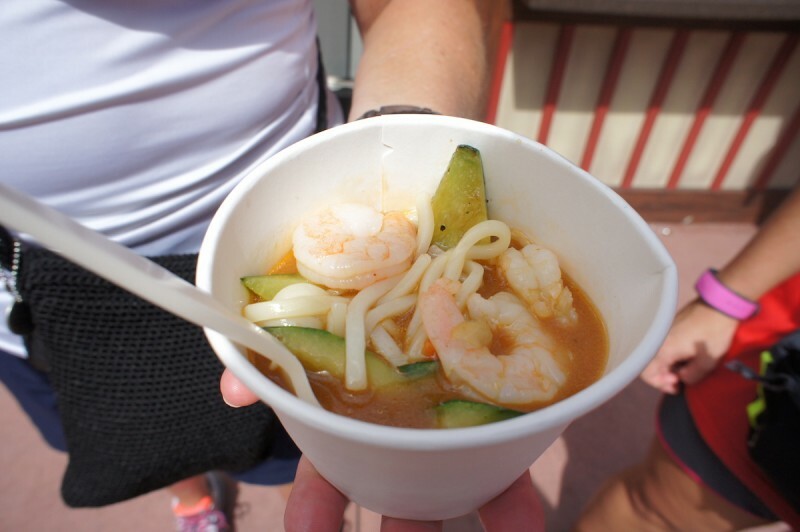 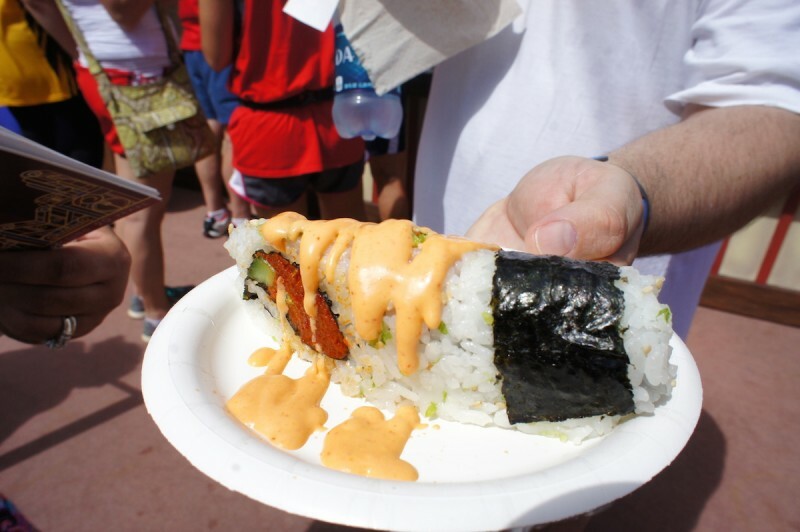 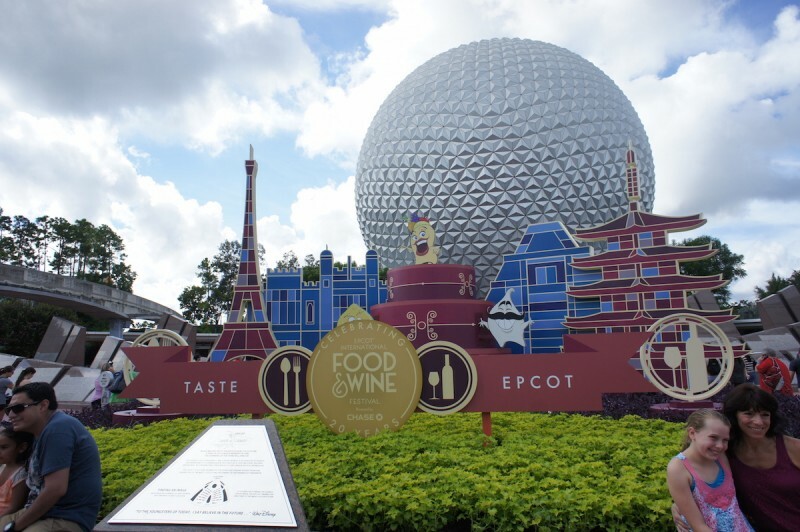 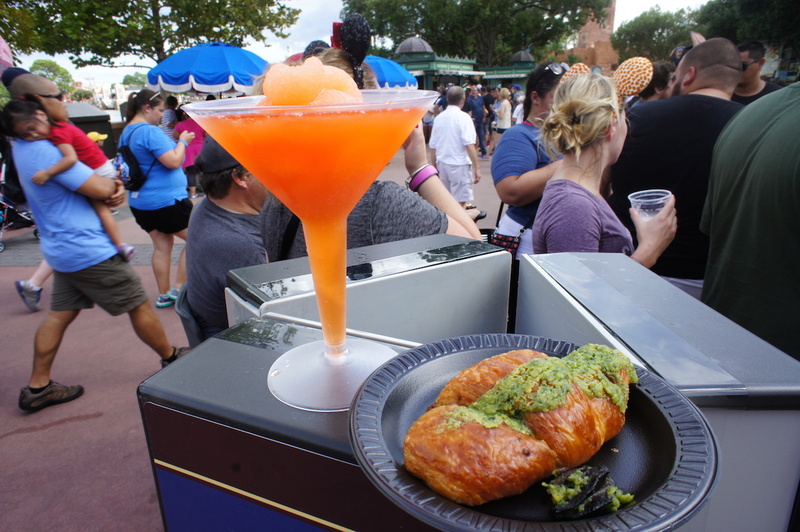 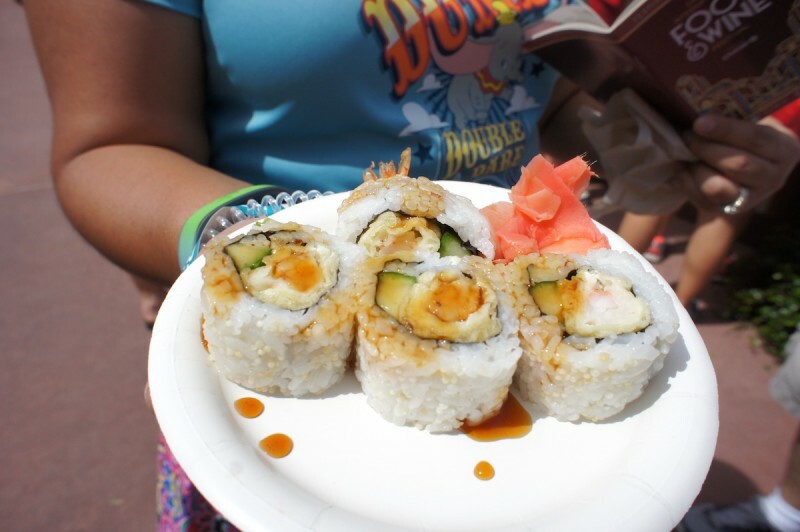 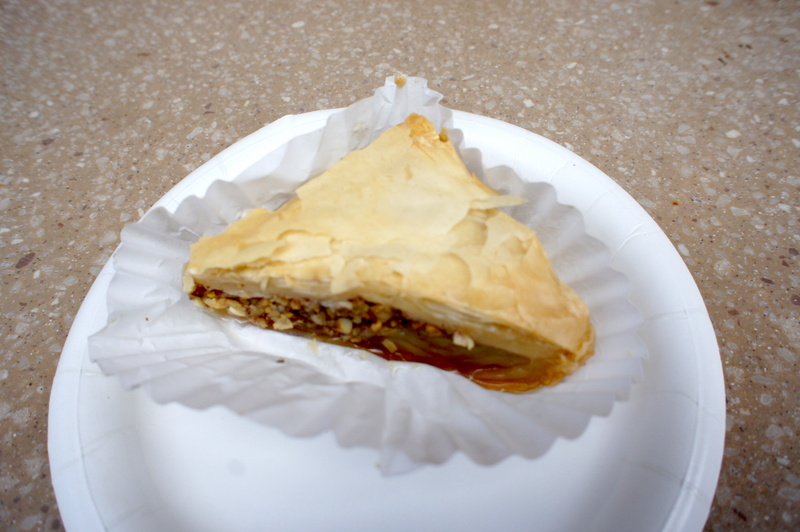 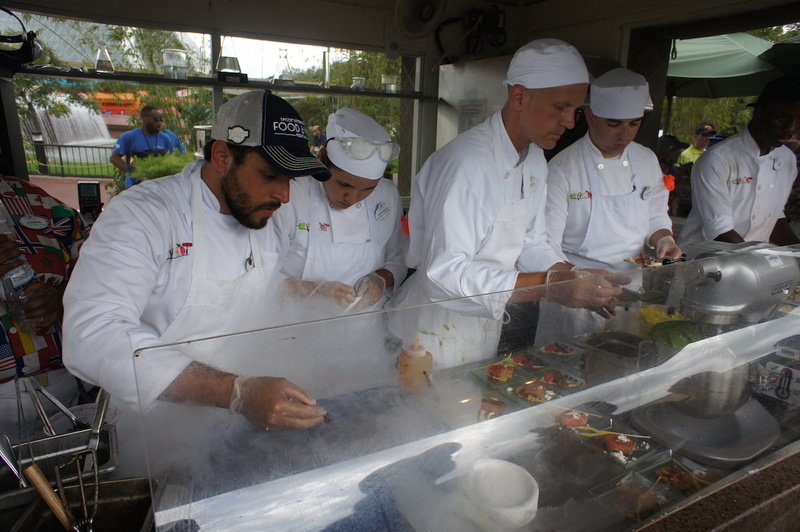 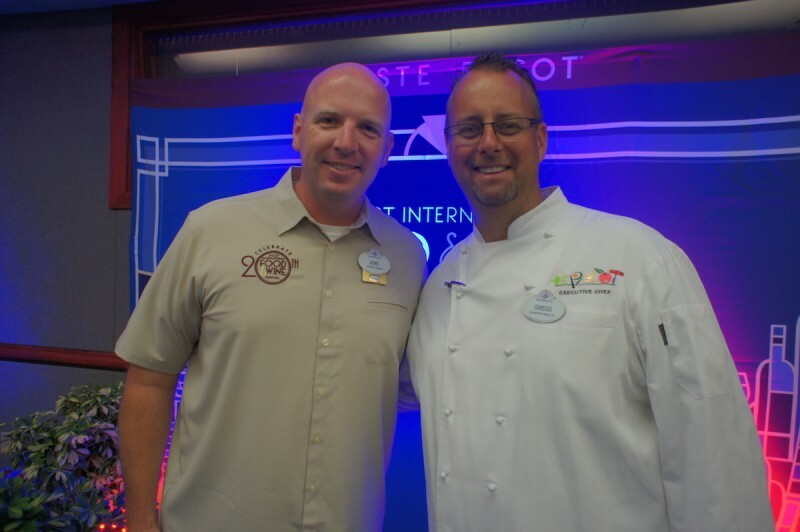 The 20th Annual Epcot International Food & Wine Festival is going on now from Sept. 25-Nov. 16, 2015. 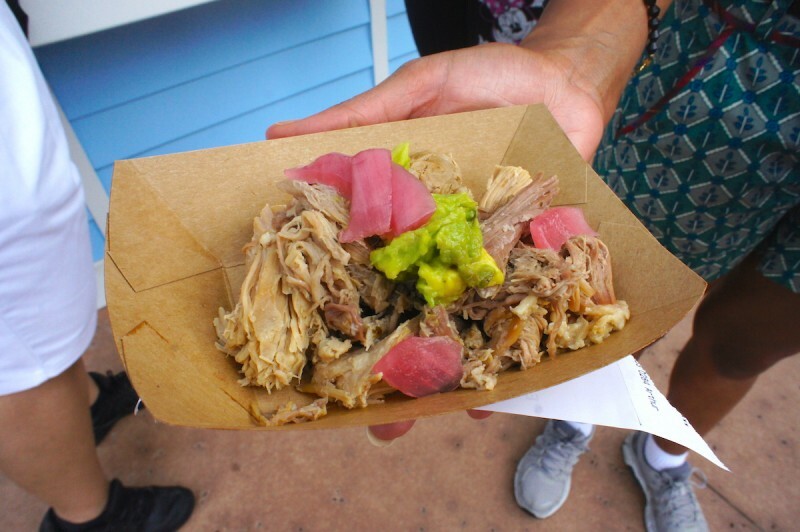 It’s the first time in the festival’s 20-year-history that global marketplace experiences, now numbering more than 30, have expanded from the park’s World Showcase into Future World. 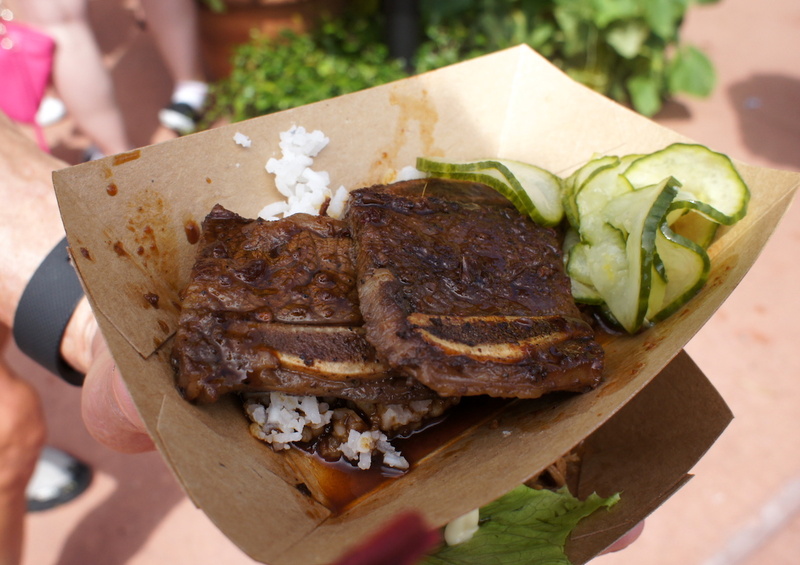 See the Press Release below including the list of eats for each marketplace! 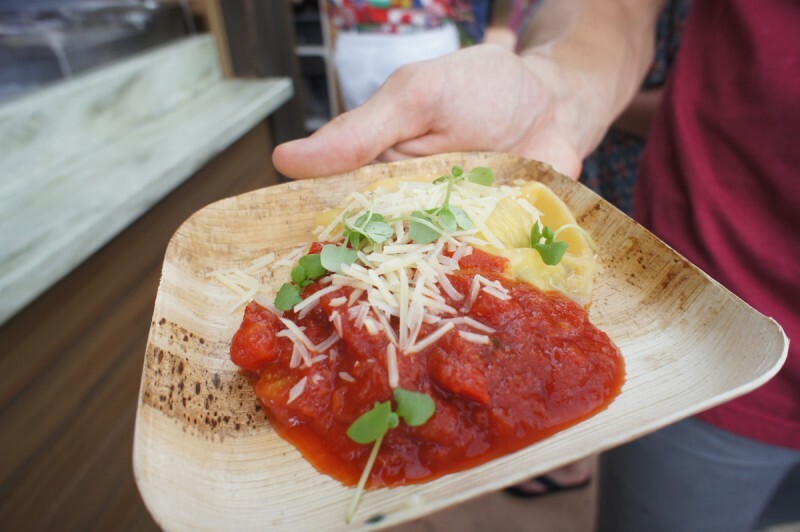 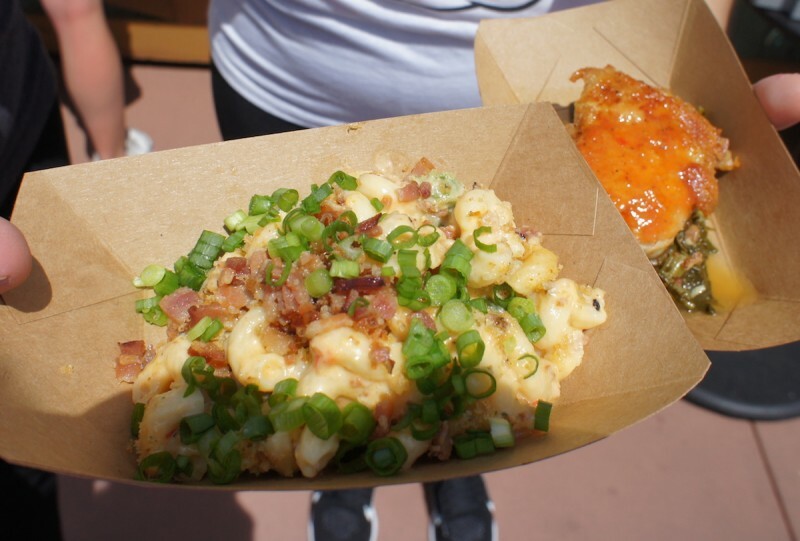 At the new Next Eats area near the Epcot Character Spot, Sustainable Chew and Chew Lab marketplaces will be inspired by ABC’s Emmy-Award® winning lifestyle series “The Chew,” starring co-hosts Mario Batali, Michael Symon, Carla Hall, Clinton Kelly and Daphne Oz. 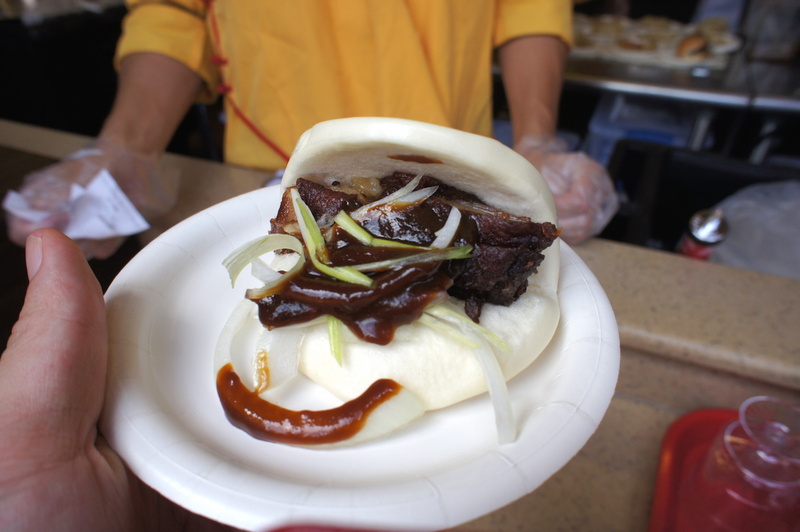 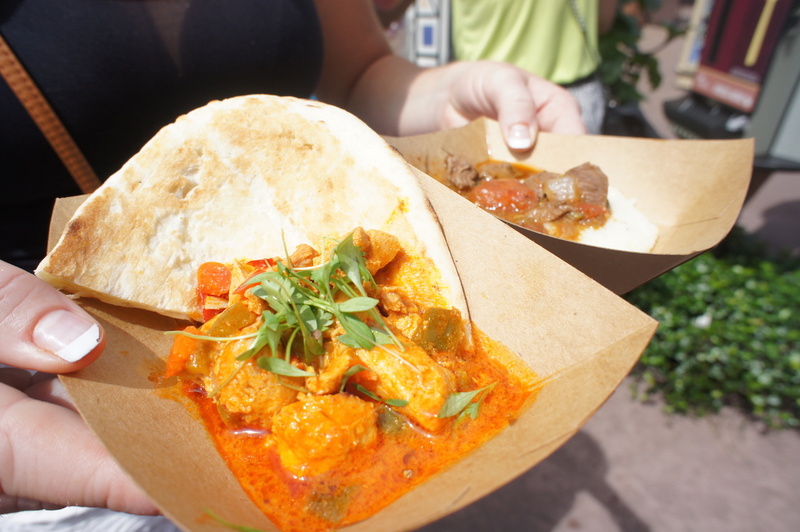 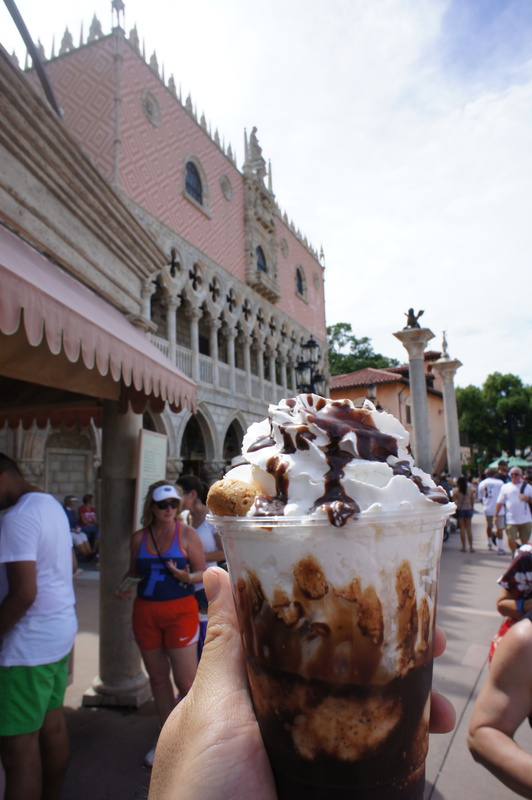 “The Chew” announced July 2 that the show will broadcast from Epcot during the festival. 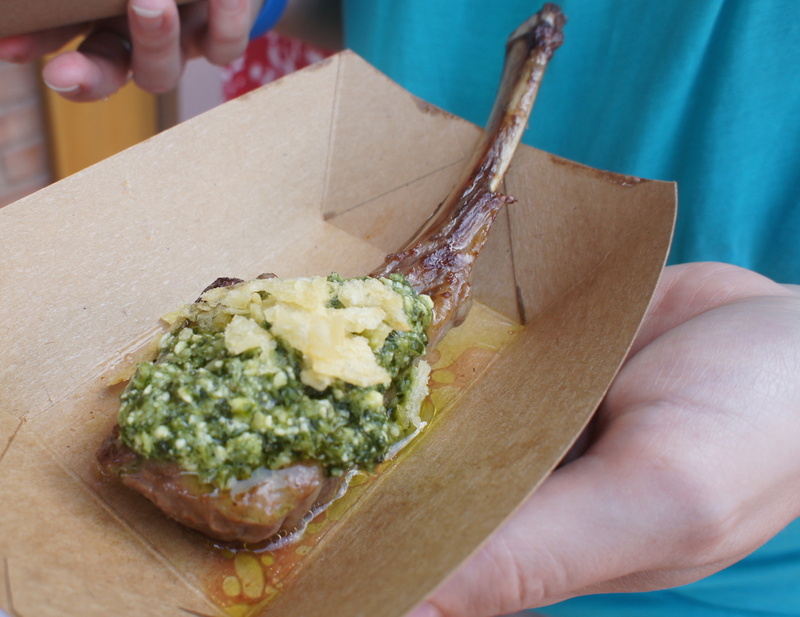 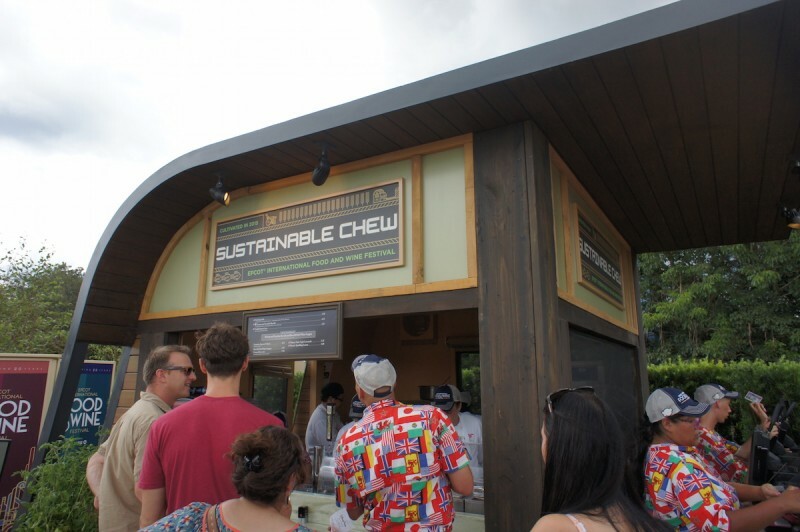 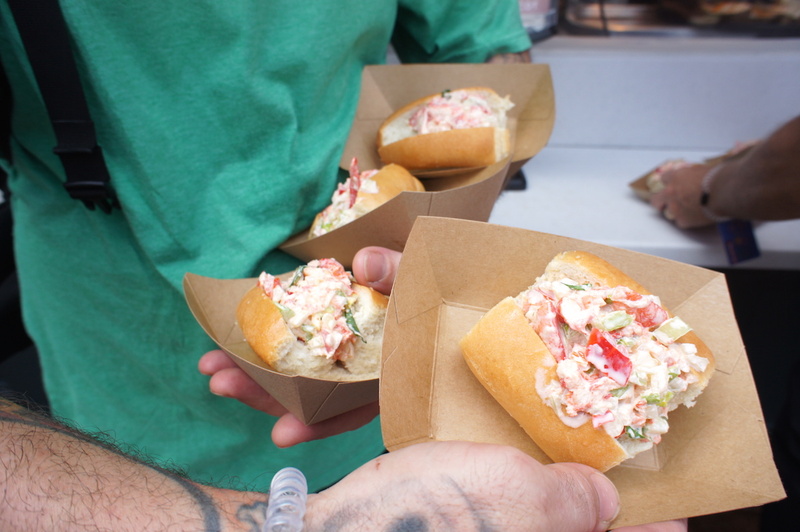 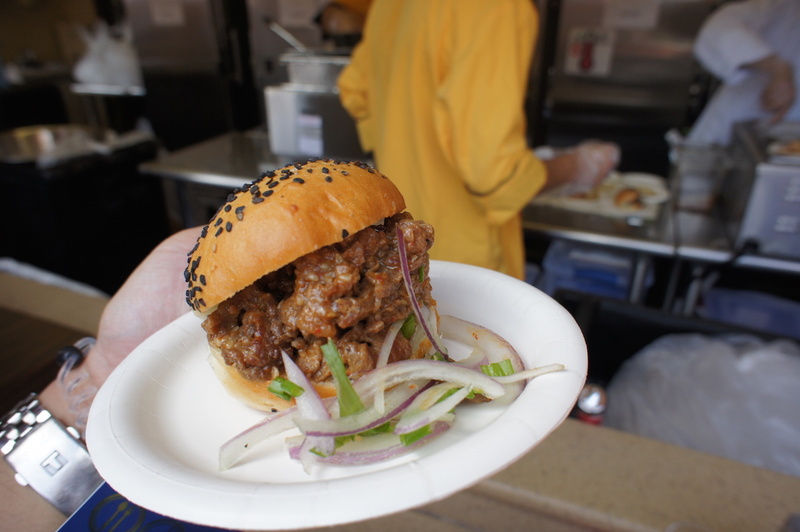 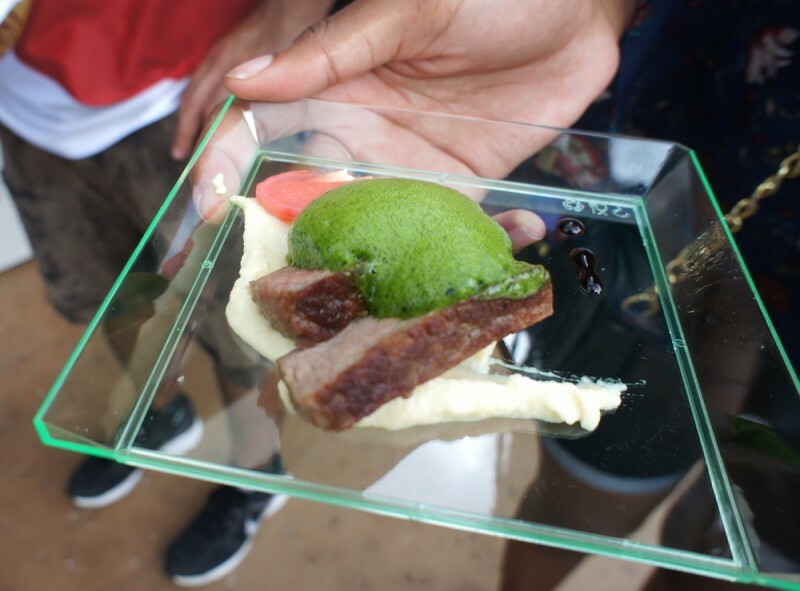 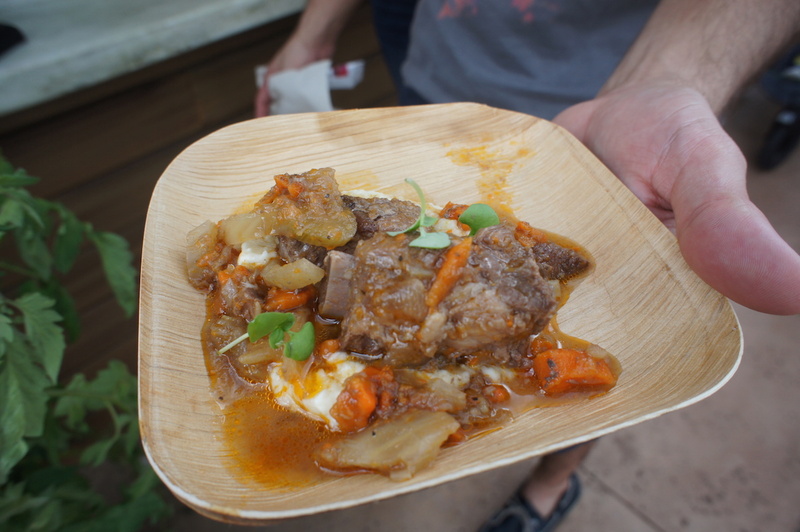 At Sustainable Chew Marketplace, guests can taste delicious dishes inspired by “The Chew” co-hosts. 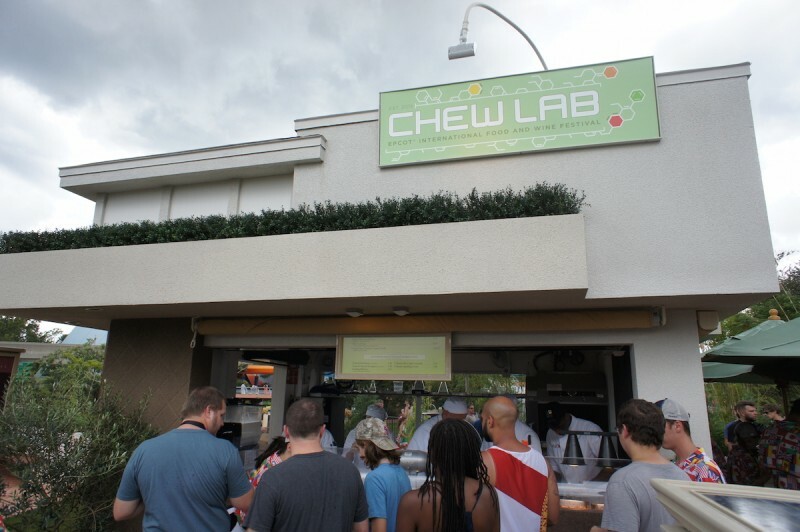 At Chew Lab, food science meets the hottest culinary tech trends to present innovative dishes like the Liquid Nitro Chocolate Almond Truffle with Warm Whiskey Caramel. 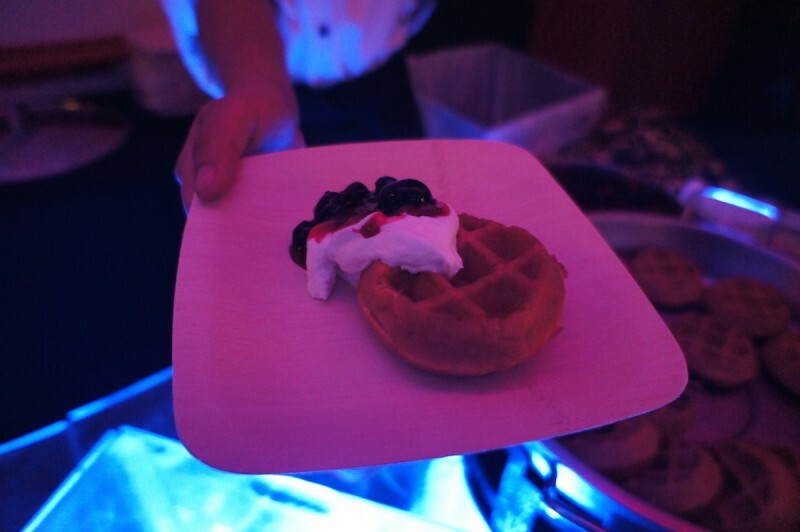 One of a series of popular Party for the Senses premium events will be the first-time Yelloween Masquerade Party for the Senses Oct. 31, an elegant, dance-the-night-away, gourmet tasting party with Champagne, wine, craft beers and specialty cocktails paired with food. 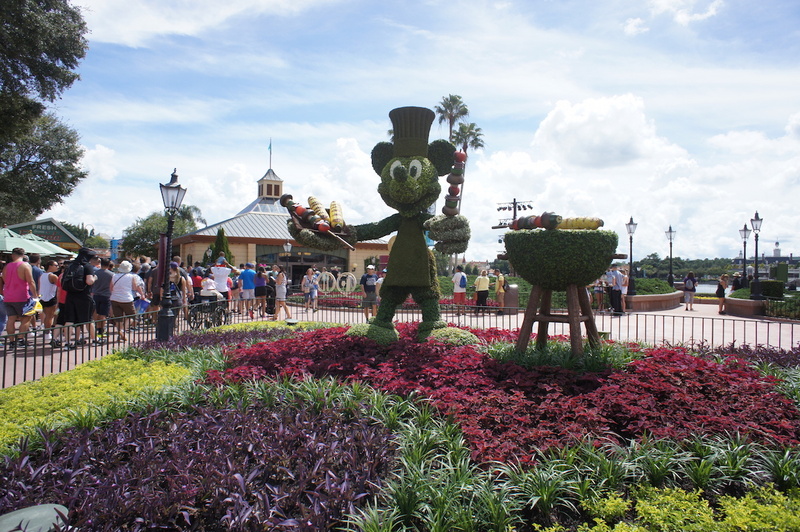 Guests will be encouraged to masquerade in chic yellow and black. 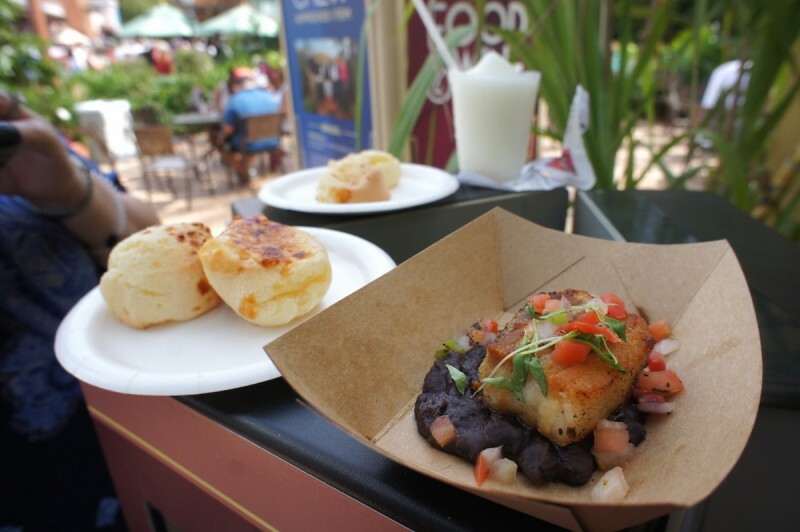 The Dominican Republic Marketplace will return with fresh flair, serving new dishes including Pescado con Coco – seared grouper, pigeon peas with rice and coconut sauce. 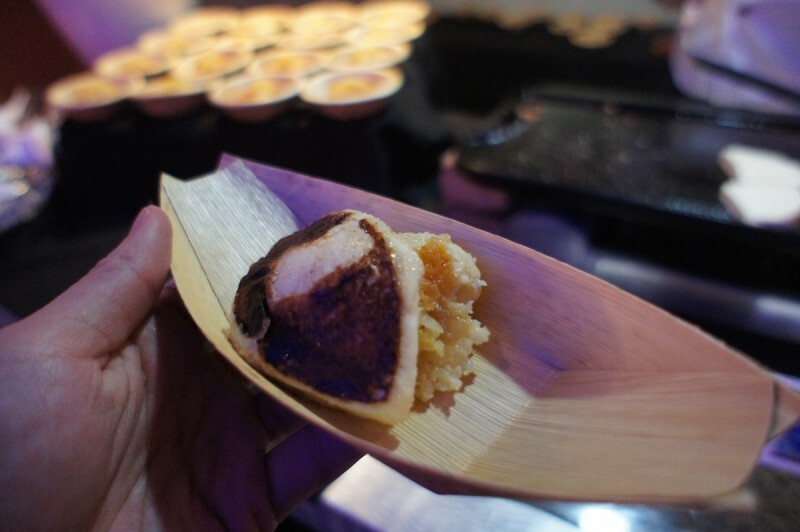 And at the Festival Center, the new Monday-through-Thursday “Spotlight on Dominican Republic” will showcase the country’s culture, crafts and culinary delights with artists and chefs at the Festival Center. 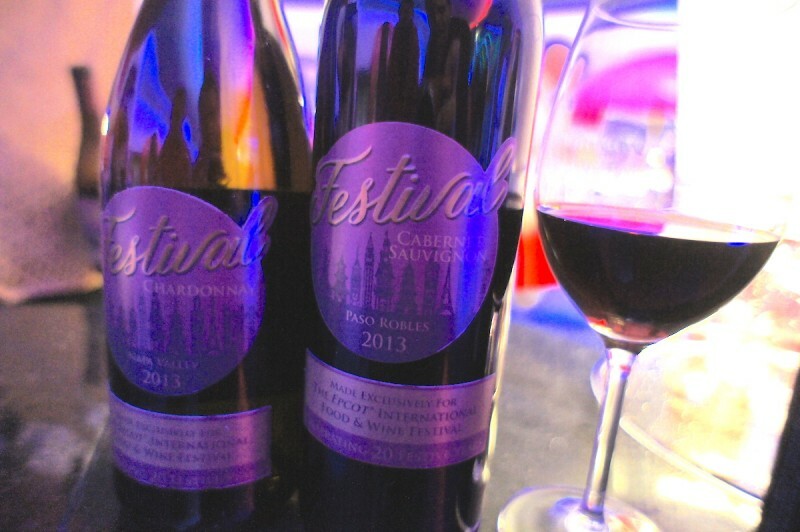 Two 20th-year celebratory wines were created just for this fall’s festival: a Napa Valley Festival Chardonnay and a Paso Robles Festival Cabernet Sauvignon. 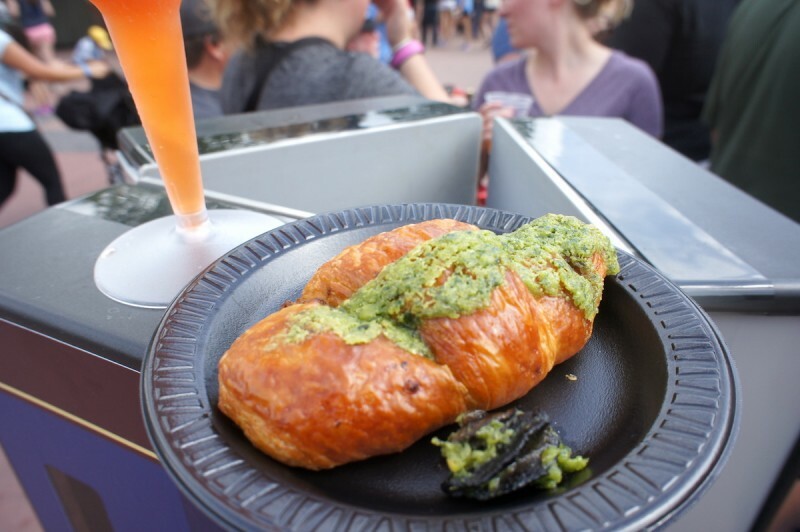 Guests will be able to purchase tastes of both wines at the Sustainable Chew marketplace, and the Festival Center Wine Shop will carry bottles. 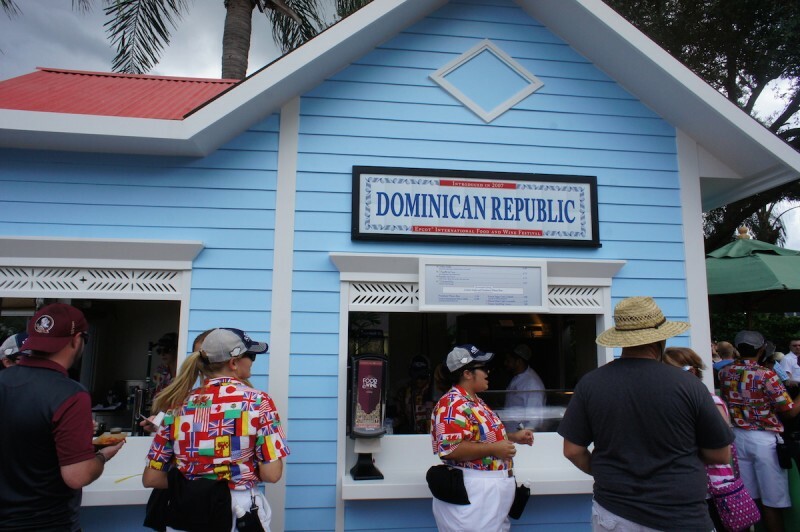 Dominican Republic — On Hiatus Since 2007!